Car Donation San Francisco CA | Kars4Kids - Donate Your Car Today! 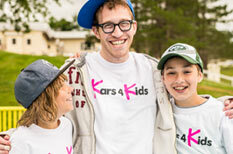 You've come to the right place – our Kars4Kids crew in San Francisco can pick up virtually any car donation, regardless of condition, and usually without a title too. Here’s what our San Francisco donors had to say about how donating went for them.